With over 30 years experience in ski hire, rent-a-ski is Australia’s leading ski and snowboard rental destination. 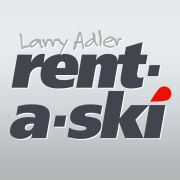 Whether you’re a first-time skier or snowboarder, an advanced snow hound who likes the latest demo equipment, or a family looking for great value, Larry Adler rent-a-ski’s got you covered. From easy online booking to our concierge service, we make the ski rental process smooth and hassle-free. This means you’re sorted and out on the slopes in no time. And to save you even more time, you can now purchase your Thredbo or Perisher lift tickets from Larry Adler rent-a-ski when you pick up your ski hire.